You are here: Home>Products>O-Ring Mechanical Seals>Wave Spring Seals>Wave Spring O-ring Mechanical Seals, VULCAN 1688Y SEALS. 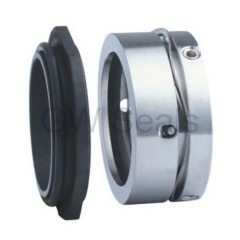 Wave Spring o-ring mechanical seals, VULCAN 1688Y SEALS. 1.used in Johnson positive dis[lacement pumps. All type of rotating equipmnt,pumps, mixers, agitators and compressors . To suit industries such as general chemical,oil refining,petrochemical,pharmaceutical,food processing,pump and paper and waste water treatment. 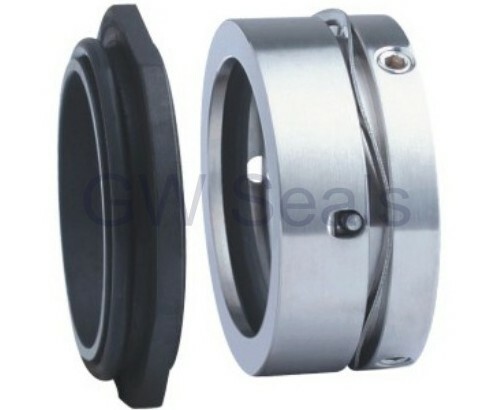 Replace Aesseal W04 seal , Sterling 280Y seal Vulcan 1688Y SEALS. Sulphuric acid,nitric acid,hydrochloride acid,phosphoric acid,acetic acid,dilute nitric acid and strongly corrosion liquid. 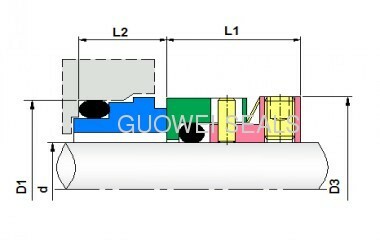 The Wave spring seal range is designed for universal application and the interchangeable parts concept is ideal for stock rationalization.The seal faces are loosely inserted and can be easily exchanged. Perfomance and increased life benefits. Products can be replaced of VULCAN 1688Y.